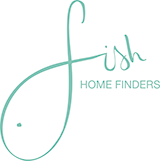 Based just outside Stratford-upon-Avon in Warwickshire, Fish Home Finders specialise in finding properties in an area that we are perfectly located to service and know extremely well; Central England. Our property finder service covers the following areas. Simply click on the area you are interested in for more information. When it comes to home finding there is no substitute for local knowledge. Fish Home Finders have an in-depth understanding and experience of the Central England property market. Whether it’s a cosy cottage in the Cotswolds, a Regency town house in Leamington Spa or an ultra modern canal side Birmingham apartment we are perfectly placed to help you find your dream home. We also think it’s equally important to find a home that fits your lifestyle. As an experienced property finder, we have extensive knowledge of the desirable locations. Whether you would like to know about local amenities, such as shopping, sports facilities and restaurants or schooling options and catchment areas, we can help, so you can relax safe in the knowledge that your new community fits your every need. For further information on our home finding service and how we can help you with your individual needs please contact us on 01789 491626 or complete our simple email enquiry form.